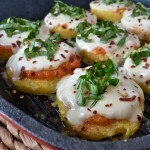 Any dish that provides an excuse to consume copious amounts of hot sauce is a dish worth repeating as often as.. I feel like hopping on the kitchen counter to fetch the crockpot that’s stored in the cabinet above the fridge. I’ve been cooking variations of this crockpot buffalo chicken recipe for years, making minor tweaks each time. 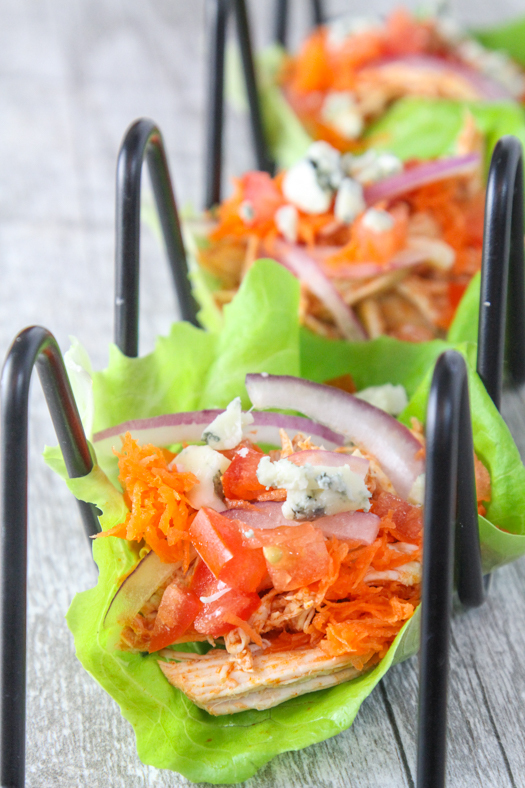 But the “buffalo chicken lettuce taco” version in this post is my favorite yet! Place chicken in a crock pot with chicken broth and cook on high for 4 hours. Remove chicken from slow cooker and discard broth. Remove skin and bones from meat. Using two forks, shred meat. Place shredded chicken back in slow cooker and stir in hot sauce, leaving slow cooker on "keep warm" setting. 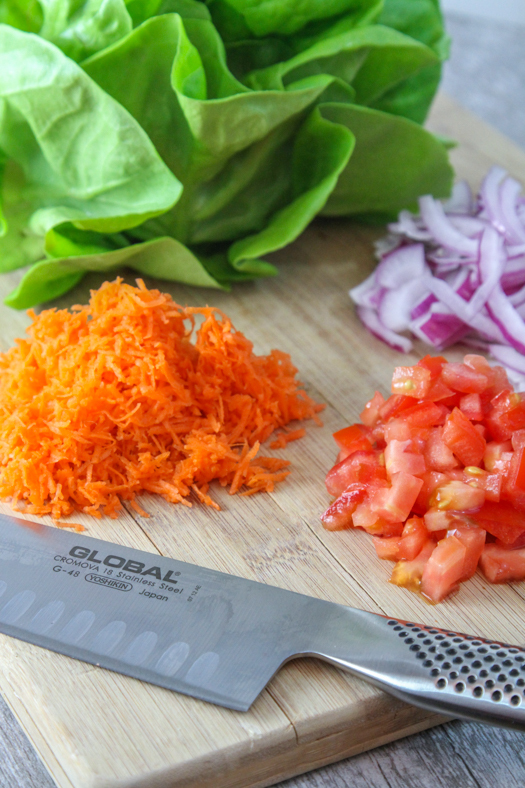 Top lettuce with chicken, carrots, tomato, onions, blue cheese crumbles, and serve.